The day after 9/11, Beryl Bender Birch, yoga teacher and Wellness Director at the time of the New York Road Runners, was called upon to help families of victims, first responders and others suffering the brutal aftermath of the attacks on New York City. She subsequently witnessed the power of the yoga practices–breathing, movement, and meditation–to help those suffering with anxiety related disorders such as Post-Traumatic Stress Disorder (PTSD). A yoga practitioner and teacher for over 40 years, Beryl is the author of three books on yoga, including Power Yoga. Her newest book, Yoga for Warriors: Basic Training in Strength, Resilience and Peace of Mind, is a guide for stressed out veterans struggling to navigate the transition to civilian life. She elaborates here on how she came to write the book, and what is it about Yoga for Warriors that makes it a perfect fit for the military. Rob: How do you serve veterans through yoga? Has that evolved over the years? One of my students, Rob Schware, and I founded the Give Back Yoga Foundation (GBYF) in 2007. Our idea was to bring yoga to under-resourced groups such as those in lower socio-economic populations. 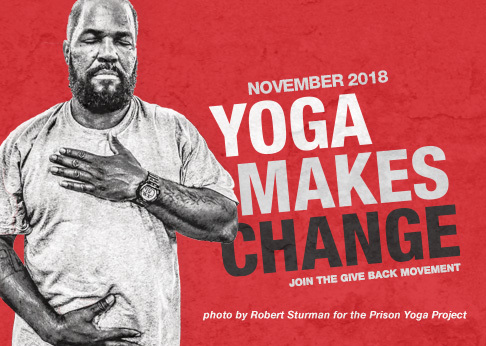 One of the Give Back Yoga Foundation’s first grant recipients was James Fox of the Prison Yoga Project. GBYF helped to fund the publication and free distribution of his book, Yoga: A Path for Healing and Recovery, written for his longtime students at San Quentin State prison. We thought what a great idea it would be to do a similar book especially for veterans — and now, three years and a lot of hard work later, here it is. In the spirit of giving back, the Give Back Yoga Foundation will be donating a copy of Yoga for Warriors to any veterans who wish to receive it. Additionally, we are working with the publisher, Sounds True, to offer a “Buy one, donate one to a Veteran” campaign. What inspired you to share yoga with this population? In addition to James Fox, I was also inspired by my student, friend, and colleague, Suzanne Manafort, who is the founder of Mindful Yoga Therapy for Veterans. 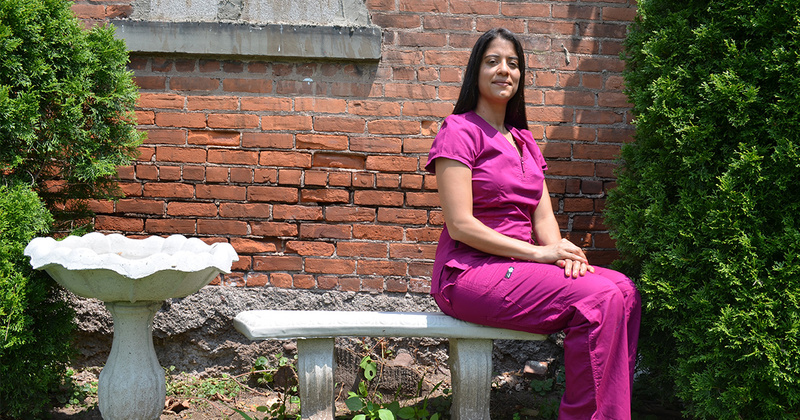 Her experience working with veterans who have PTSD has been life changing for her. Also, after talking with veterans, having them in my yoga classes over the years, and seeing how so many of them have benefitted from their yoga practices, it seemed a natural progression to write a book specifically for them — to give back, so to speak. What is your vision in writing Yoga for Warriors? My personal ordeal with and treatment for post traumatic stress helped me to realize how much my yoga practices — not only asana, but especially meditation and the breath work — had empowered me to be a more peaceful, present, happy, and healthy human being. I went for years without full awareness of my hyper-vigilance, traumatic memories, and avoidance behaviors. I wrote this book because I wanted to share this terrific methodology with those who really could use it. What benefits can veterans get from a regular practice of yoga? My book is for all military personnel. These practices can help veterans returning from a war zone, whether from Afghanistan, Iraq, or even Vietnam, and struggling with post-traumatic stress, traumatic brain injury, or with any difficulty in transitioning to civilian life. The practices are grounding, calming, and pro-active. They help a person develop a sense of control and a safe connection to the present moment. They also strengthen resilience and can help to prevent PTSD, so they are also a terrific aid for those who are about to deploy to a conflict area. In a broader sense, this is a practice for anyone who hopes to be healthier and happier and effectively deal with the traumas of life — whether past or future. Imagine if you spent a year or two on life-threatening, radical high alert — every moment — think how tough coming back to home life would be. So many veterans tell me, “I was depressed. I just couldn’t relate to the things that people at home think are a big deal. After experiencing the horrors and high intensity of combat, civilian life seemed pretty tame. All I wanted to do was go back.” These men and women have an unpredictable and often continuous stream of stress hormones blasting. If you have never experienced living with unrelenting danger, convoying in dangerous sectors, or being shot at with constant threat of attack, there is no way you can imagine what the lives of our veterans must be like. How do you come back to every day life after that experience? Yoga helps. What was one of your most fulfilling moments in doing this work? The moment I opened the FedEx from Sounds True (the publisher) and actually held a copy of the book in my hands. My mind was momentarily blown–“Wow, we actually got this done! Here it is!” Anyone who has worked on a long-term project and seen it come to fruition, I am sure can relate. Seeing the photos of the veterans who are the models for the postures in the book was especially moving. They are all gorgeous. They were a diverse group, and each and every one of them just jumped into the project with both feet. Some were students who came to my classes and workshops, and others were students of Suzanne Manafort and Ann Richardson Stevens (a student of mine and teacher in Virginia Beach, VA who specializes in adaptive yoga). The students are of varying ages, sizes, races, and both men and women are represented. I wanted to show a broad picture of veterans, and made sure as many populations as possible were included so that this book would speak to everyone. Is there anything else that you feel is important to cover? I don’t think of military training and yoga training as that dissimilar. Both focus on learning to pay attention. The primary difference is that men and women in the military are taught to have high external awareness. Yoga practitioners are taught to practice high internal vigilance. Both groups are warriors, although in quite a different way. 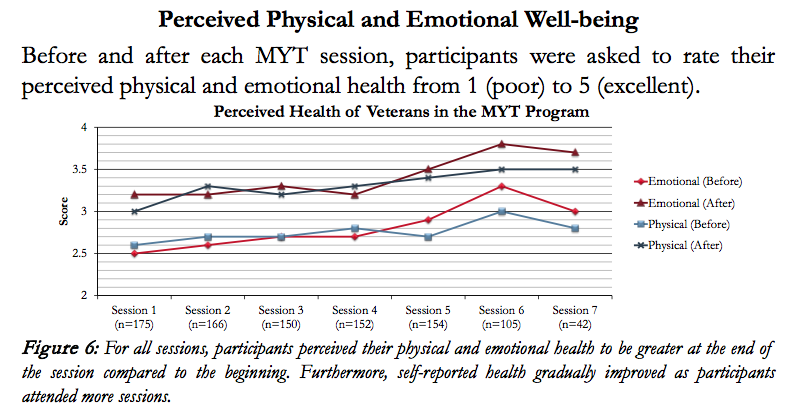 For veterans, then, it is simply about reversing the direction of attention — from the external to the internal world. I was Wellness Director for the New York Road Runners Club for 20 years and worked with all kinds of athletes, so I am used to working with highly trained and very tight bodies. Military personnel are elite athletes. Because they are used to strong training and discipline, the sequences in Yoga for Warriors that incorporate strength and structure are a natural fit. My personal asana practice for the past 40 years has been the classical astanga vinyasa system. The physical asana sequences in all three of my previous books, from Power Yoga to Boomer Yoga, are based on this method. It is a good example of outstanding and balanced posture sequencing. B.K.S. Iyengar introduced the concept of alignment into the Western world of yoga in the early 70’s. His teachings, as well as my studies of anatomy and physiology, have helped me to develop appropriate modifications of all the postures for all bodies. Learn how you can help to bring free copies of Yoga For Warriors: Basic Training in Strength, Resilience and Peace of Mind to veterans and active duty service members through a limited time Buy One, Give One campaign, or by making a donation.